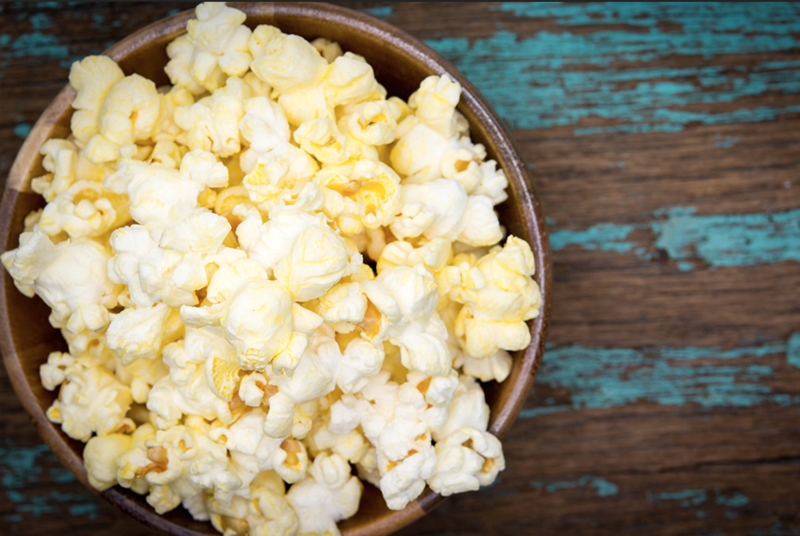 Plain popcorn provides whole grains, fibre & antioxidants. Throw out those chips and cookies and bring on the popcorn! Recent studies have shed light on the multiple health benefits of this light and moorish snack. Nothing better than curling up on a couch to your favourite movie with a bowl of P’corn in hand. My new favourite treat. Addicted.